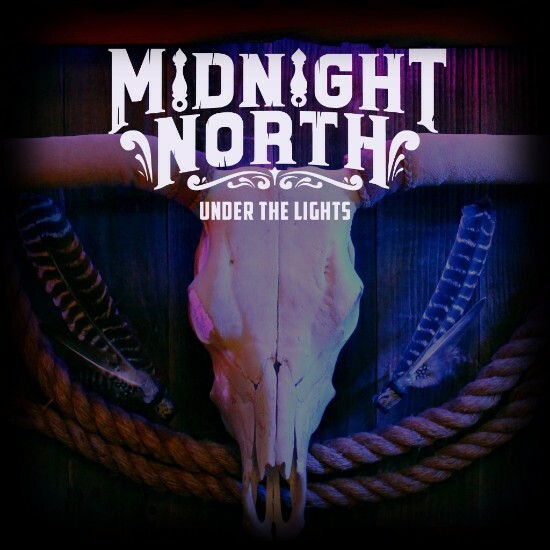 Album Review: Midnight North, "Under the Lights"
San Raphael’s Midnight North have just unwrapped their new album (their third), Under The Lights, and it may be wishful thinking that this will be the one to really put them on the map. The band’s warm, rich, sometimes soulful, sometimes funky-jammy sound is soothing to the ear and it does make you stop and think when listening to the words (which to me is important). The combination of melody, drive and harmonies makes this an album that makes you feel good. Opening with the country-tinged, rockin’ steady title track, the balance of acoustic guitar, Nashville-styled riffs and fills and thrashing on the chorus, it’s the perfect way to get this collection started. Segueing into the more groove-infused “Playing A Poor Hand Well” is a spot-on showcase for Elliott Peck’s vocals plus the sweet Hammond B3 sound and horn punches gives this a Memphis feel, which is near and dear to my heart. And the strident “Everyday”, again, punctuated by beefy horns and a great single-note piano foundation rounds out a trifecta that tells me the band know how to open an album – start with three different styles and you will have the listener paying close attention. “Romin'” has that get-down, jam feel, but is another solid groover with an equally solid chorus and the use of different vocalists makes it an even stronger piece; the twangy, slower pace of “Back To California” is another standout; “One Night Stand” is thumper – a country stomper and a good time vibe and “Echoes” may be my favorite – the most radio-friendly, pop number that has a certain R.E.M. touch to it (I immediately thought of “Driver 8” and “Texarkana”, frankly). That minor comparison aside, it’s a damned good song, with riffs, drama and great vocals. Eleven songs to listen to, think about, and then listen to again – and it’s easy to bounce around to really enjoy this very fine collection of songs. A tip of the hat to Midnight North – an album well done, filled with a steady diet of devourable sounds and a little something for everyone.